I am no longer using Jotforms and would like to cancel my account, how can i do this. I see that you are having an active paid subscription of Premium monthly. 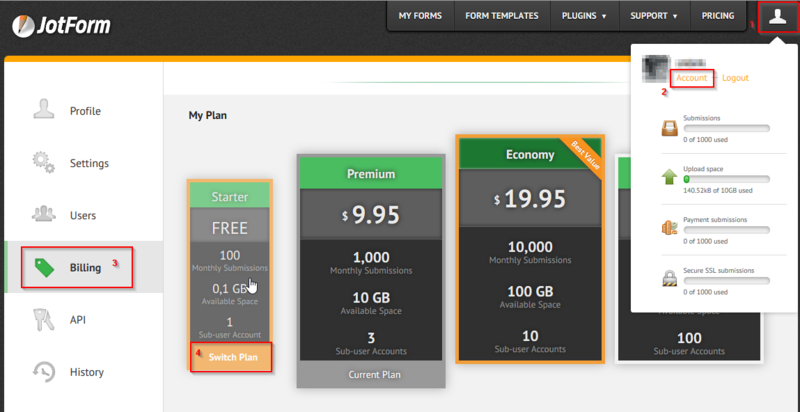 You can downgrade the account to Free subscription through our pricing page while you are logged in. Once your account is converted to Free subscription, you may request for closing your account.